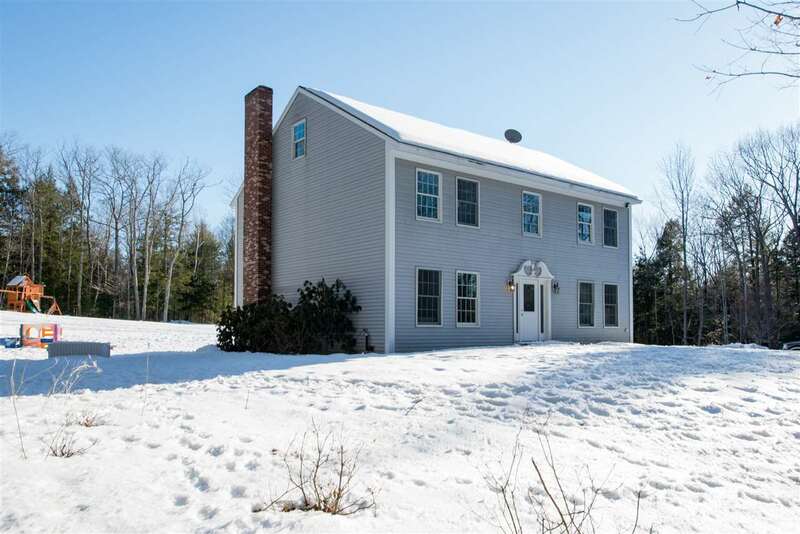 This colonial has it all with a finished 3rd floor bonus room, 1000 sq foot new walk out patio with built in fire place, and plenty of privacy on 9.79 acres! A large barn provides available storage with an additional underground piped wood boiler to the house for huge savings on your heating bill. With an office and extra room on the first floor space won&apos;t be an issue. Does your dream home include a garage? No problem, a foundation is already poured with plans for one here! Being centrally located in the lakes region has you just 12 minutes from Alton Bay on Lake Winnipesaukee and a half an hour from Gunstock Mountain. What more could you ask for? Don&apos;t miss the opportunity for this well maintained home.